New York: The Vanguard Press, Inc, 1963. 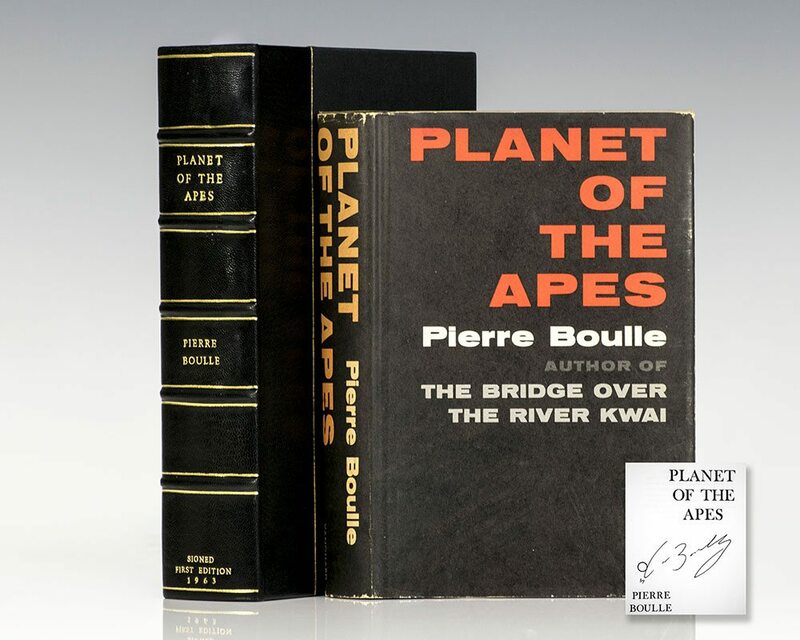 First edition in English of Pierre Boulle’s chilling novel that launched one of the greatest science fiction sagas in motion picture history. Octavo, original half cloth. 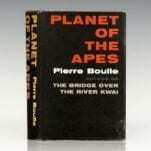 Boldly signed by Pierre Boulle on the title page. Fine in a near fine dust jacket with a touch of wear. Translated from the French by Xan Fielding. Housed in a custom half morocco clamshell box. Most rare and desirable signed. 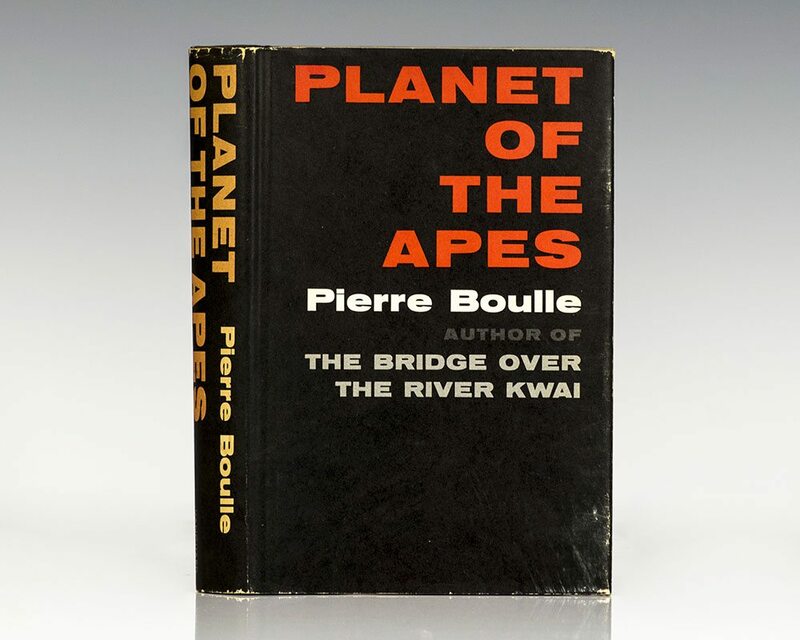 Pierre Boulle’s tale of astronauts trapped on a planet ruled by apes offers “a parable of racial and other social failings on Earth, in the grand satiric tradition of Gulliver’s Travels” (Anatomy of Wonder II:143). 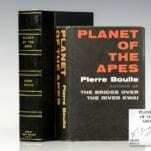 Boulle's novel inspired a media franchise comprising eight films, two television series, and several comic books. The first film was Planet of the Apes (1968), directed by Franklin J. Schaffner from a screenplay by Michael Wilson & Rod Serling and starring Charlton Heston. The film was a critical and commercial success, spawning four sequels between 1970 and 1973. A second adaptation of the book was released in 2001 directed by Tim Burton as a loose remake of the 1968 film of the same name. A series reboot with a new production team called Rise of the Planet of the Apes was released in 2011 to critical and commercial success.